On a beautiful sunny day in the second week of the school holidays a sports Holiday programme was offered for our energetic young people. The action packed day attracted a variety of young people from all over Wellington who came together to make the most of both the holidays and the fantastic weather. The day began down at Johnsonville Community centre where we competed against each other in a series of fun games such as magazine hockey, bang, jockeys up and fruit salad – so that everyone could get to know each other and bond- with some friendly competition of course! While everyone was enjoying the games and activities many hands were hard at work preparing a BBQ lunch back at Challenge. With the sun out and the feast prepared everyone used the time to relax, get some sun, eat, and enjoy the good company. Refreshed and with full stomachs we filled the cars and the vans and made our way to ASB sporting arena for a game of ki-o-rahi. 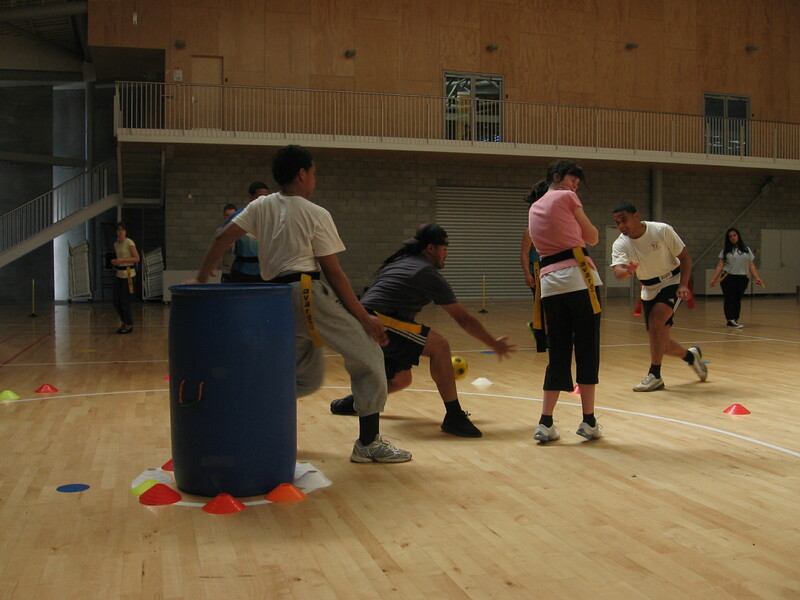 Ki-o-rahi is a traditional Maori game a mix between rugby, touch and handball. This was for many a new experience but was quickly picked up as the stakes were raised and a small tournament was started. With the title on the line some great team work and skills were displayed by all of the teams. With the final whistle blown for ki-o-rahi the action packed day came to a close and everyone headed home taking with them some great memories and new friends.